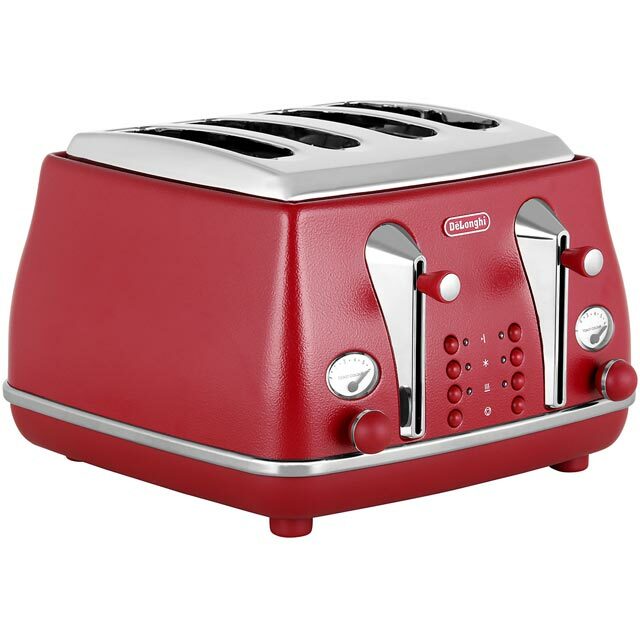 This stylish red toaster from De’Longhi will look the part in any modern kitchen. It can toast up to 4 slices at once, so there’ll be plenty to pass around the breakfast table. 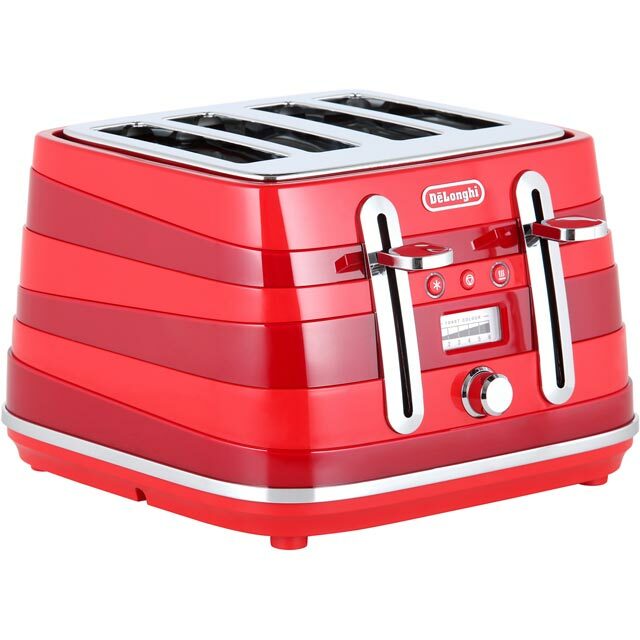 With its high lift function, you’ll be able to reach smaller items like muffins without burning your fingers. There’s no need to worry if you’ve forgotten to take a loaf out of the freezer either, as the defrost function thaws out bread quickly and hygienically. 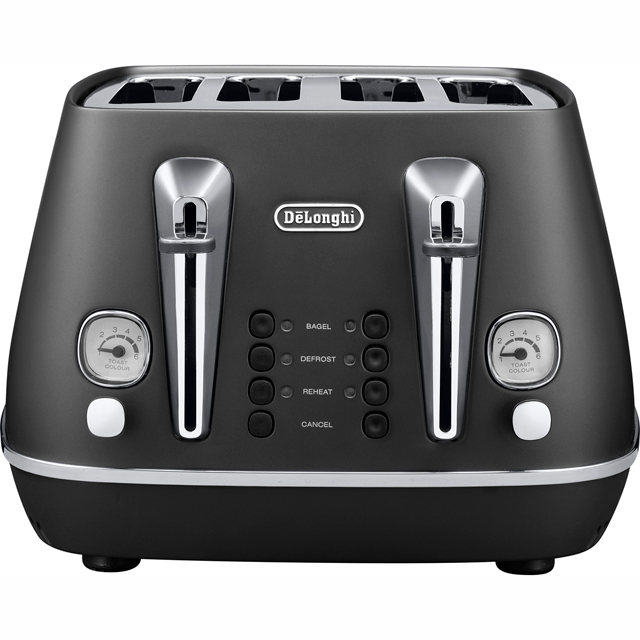 It has a reheat function too, so if your toast is ready before your eggs, you can warm your slices up without further browning. It’s even easy to keep clean, as the removable crumb tray captures all the mess for you. 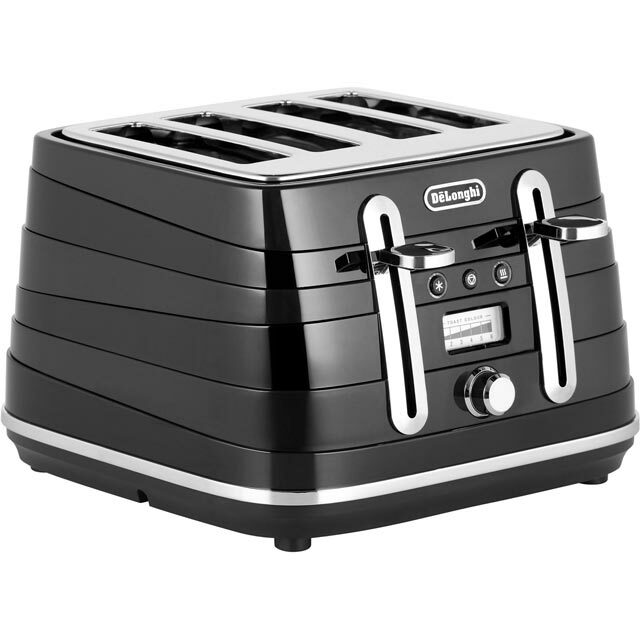 This toaster was bought just a few months after buying another ( leading brand) toaster, lots of bells and whistles but could not get it to just toast at a certain level without it burning either one side or the other, no way was it even. 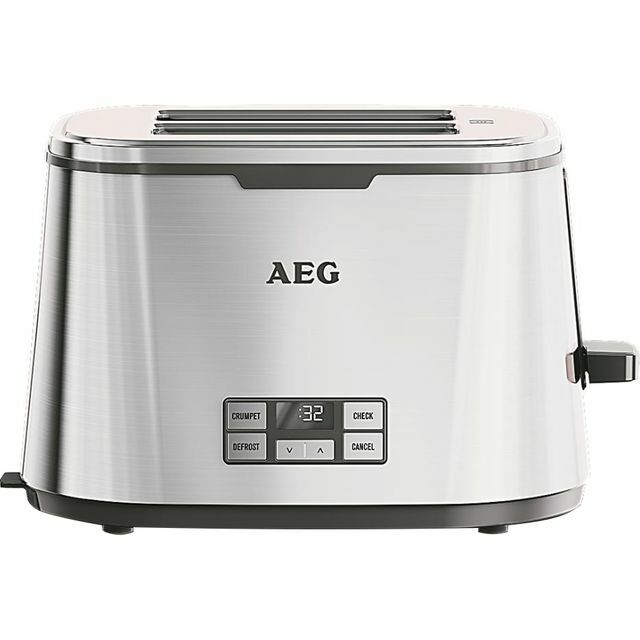 This new toaster was a few pound more than the “run of the mill toasters” but so pleased we went with this one.its attractive on the eye in the kitchen as we have the red kettle also, toasts evenly at the degree of ‘brownness ‘ you require also a setting for frozen bread. Easy to clean too, so very happy with my purchase Thankyou very much! * CTA4003.R_RD was at the higher price between 20/01/2019 and 18/04/2019.